The Very Latest On ZOMBIELAND 2! At this point in time it is still difficult to believe that a ZOMBIELAND 2 is actually coming. With things rolling along nicely we have learned of new casting news. Actress Rosario Dawson has signed on to co-star in the upcoming sequel. There is no news at this point as to what her character will be but she joins a cast that is already made up of Emma Stone, Jesse Eisenberg, Woody Harrelson, and Abigail Breslin. ZOMBIELAND 2 is written by original scribes Paul Wernick and Rhett Reese. The upcoming sequel will focus on the comic mayhemn that stretches from the White House through the heartland. The zombie slayers must face off against the many new kinds of zombies that have evolved since the first movie, as well as some new human survivors. Most of all, they have to face the growing pains of their own snarky, makeshift family. 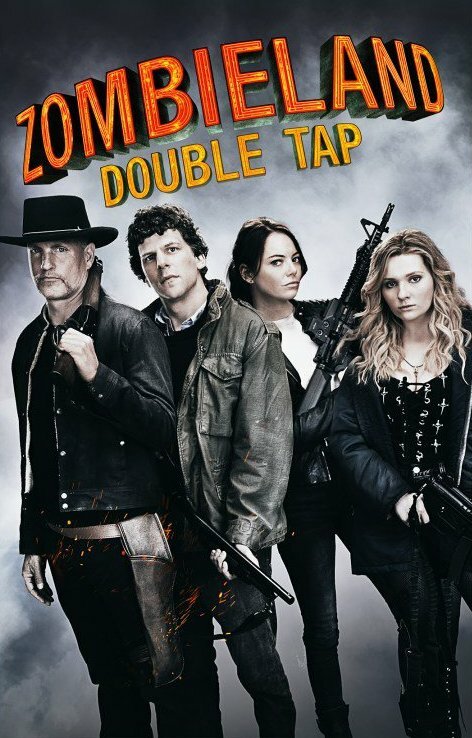 We have also that the official title of the film is ZOMBIELAND: DOUBLE TAP, and is expected to hit theaters on October 11th.